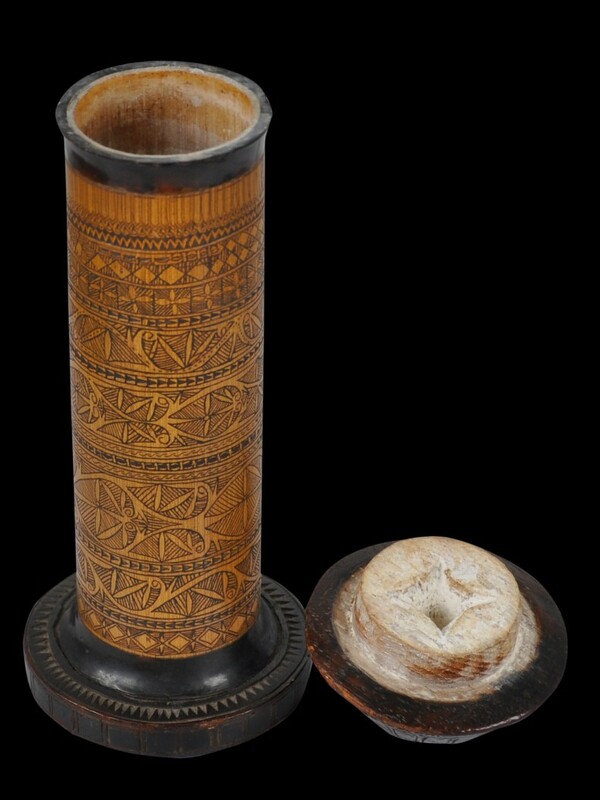 This tall container known as a tagan is of finely etched bamboo with horn mounts, a carved wooden foot, and a carved, domed wooden stopper. 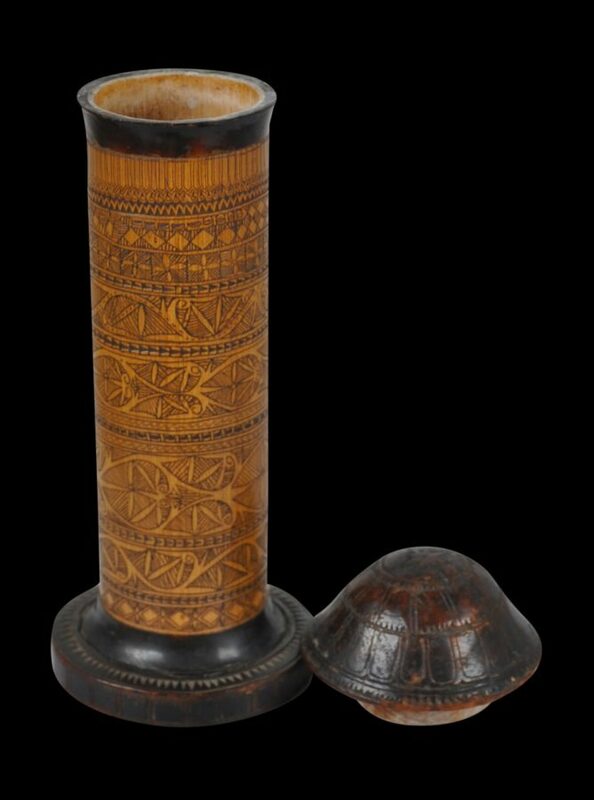 Such containers were used by the Karo Batak people of north Sumatra to hold powdered lime which was added to the betel quid, betel being a mild, social narcotic that was chewed. The lime was obtained by burning seashells and coral and then grinding it to a powder. Related examples are illustrated in Sibeth (1991, p. 155), and Sibeth & Carpenter (2007, p. 335). 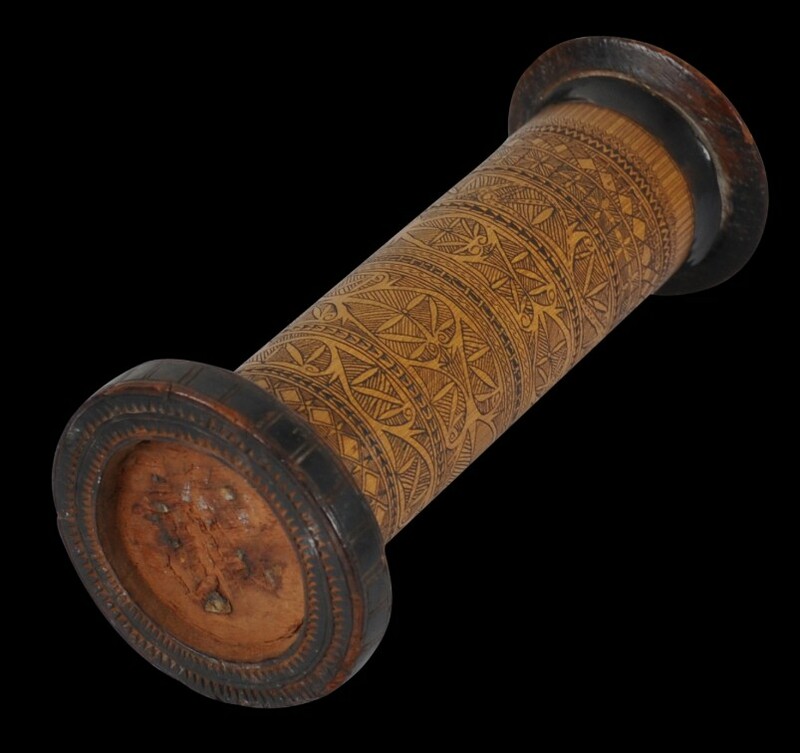 The container has a splendid patina and obvious age. It contains remnants of lime. Sibeth, A., The Batak: Peoples of Island Sumatra, Thames & Hudson, 1991. Sibeth, A., & B. Carpenter, Batak Sculpture, Editions Didier Millet, 2007.